"Each of us, in the journey through mortality, will travel his own Jericho Road. What will be your experience? What will be mine? Will I fail to notice him who has fallen among thieves and requires my help? Will you? "Will I be one who sees the injured and hears his plea, yet crosses to the other side? Will you? "Or will I be one who sees, who hears, who pauses, and who helps? Will you? "My brothers and sisters, today there are hearts to gladden, there are deeds to be done—even precious souls to save. The sick, the weary, the hungry, the cold, the injured, the lonely, the aged, the wanderer—all cry out for our help. "May each of us follow Him along that Jericho Road." 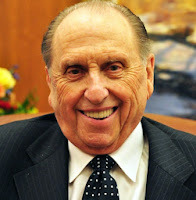 President Monson has lived his life serving along the road to Jericho. 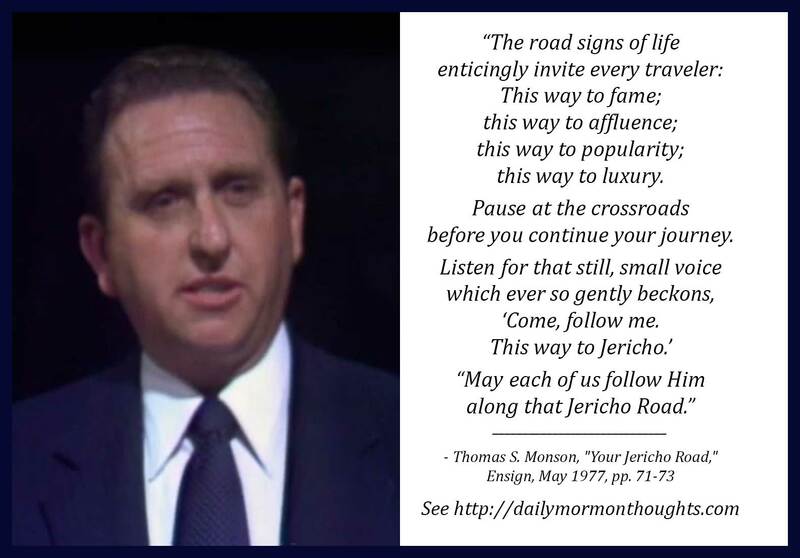 This talk, given 40 years ago, echoes counsel from his heart and his example. His gentle invitation to us, to be more loving and serving to our neighbor, is a wonderful reminder. We would all do well to consider how we are doing in our individual daily journeys along the Jericho road. Like President Monson, we should be always praying and listening for the promptings that will guide us to those whom we could help and assist along the way. Instead of heeding the many calls that would lure us to fame, affluence, popularity, and luxury, we might find another path that includes joy and blessing.